Welcome to another installment of our “Trail Town” series and the fourth in 2017. Every month we will feature an article about a trail running town that you should put on your bucket list of places to visit! This month we feature Durango, Colorado, population 17,834.
since established itself as a bona fide Colorado mountain town, surviving the whims of climate and tourism, and thriving as a wild Western gem. Flanked by the San Juan Mountains and deserts of the American Southwest, Durango, Colorado, is an outdoor recreationist’s dream come true. The town unfolds along the banks of the Animas River, which serves as both a playground and lifeblood for flora, fauna, and civilians alike. With over 300-miles of trails within 30-minutes of downtown, Durango’s access to oak-shaded respites, aspen-quaking meadows and high-alpine splendor is unparalleled in all seasons. Just outside of Durango, 1.8-million acres of San Juan National Forest welcome the determined to explore some of the most vertical terrain in America. Within these pine-studded folds looms the Weminuche Wilderness, Colorado’s largest wilderness area. Boasting three 14-ers, a bounty of 13-ers, and a lively population of elk, moose, bear, and even lynx, the Weminuche has served as a prized source of natural resources for miners and hunters for centuries. Nowadays, these high places invite intrepid hikers, climbers, rafters, skiers, and runners to explore to their hearts content. At 6,512-feet above sea level, Durango is located a six-hour drive from Denver (or 45-minute flight) in the Four Corners region of the Colorado Plateau. Trail runners flourish here, thanks in part to superb trail maintenance by local nonprofit, Trails 2000, and nearly 2,700-acres of protected open space within city limits. From crunching snow underfoot to watching monsoons roll across the mesa to discovering the magic of blazing fall foliage, a run on Durango’s trails inspires more than good health; it contributes to one of the country’s most vibrant trail running communities. It’s hard to pick a favorite with so much goodness, but there’s something for everyone willing to lace up their kicks and head out on the trails of Durango. Most running routes are a combination of single- and doubletrack and are typically studded with sandstone rocks ranging from slippery pebbles to sizeable baby heads that’ll keep you on your toes. Trail options around town abound, stretching from a mile climb up Smelter on the south side of town to a six-mile loop on Animas Mountain rising to the north, a popular training ground for local running stars, like Brendan Trimboli, Anna Frost and Ron “Braz” Braselton. To the east of the Animas River lies Horse Gulch, where the mellow Meadow Loop offers a great intro for road-weary legs. Opt for a steep pitch up Telegraph to Dakota Jones’ favorite, Pautsky Point, or for more technical running, make your way to Raider Ridge and be rewarded with breathtaking views of Durango and the mountains beyond. When the weather gets warm, head for the shady respite of Test Tracks just west of the Animas. A short sharp ascent of Hogsback is a Durango classic for seasoned athletes, like Erik Skaggs and Christian Gering, so don’t miss it. Here, you’re welcome to link together winding singletrack with names that pay homage to resident legends, like Ned Overend, and enchanting biomes, like Hidden Valley. It’s impossible to mention Durango’s accessible tracks without giving a shout-out to the Colorado Trail, which starts in Denver and ends at Junction Creek Trailhead just northwest of Durango. Whether you have the luxury of attempting the 500-mile linkup through Colorado’s greatest backcountry or are simply looking for a challenging run along a refreshing waterway, start from Junction Creek and venture to Gudy’s Rest. If you’re looking for a challenge, try to snag local elite runner, Jason Schlarb’s, heartpounding Strava record for fastest time there and back. Most of Durango’s trails are open year-round, with the exception of a few that hold seasonal wildlife closures. 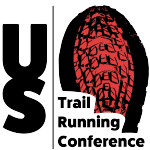 Please check the Trails 2000 website for updates. Available parking at trailheads depends on the time of year and day, but with a little creativity, you’re sure to find somewhere…and it’s free! For example, the lower parking lot at Junction Creek can be packed on a mid-summer’s day but parking is available along Junction Creek Road or at the Junction Creek campsite. Bike racks are also available at most parking lots. With an embarrassing bounty of fantastic trails found in and around town, it’s little surprise that Durango’s trail running community is both tight-knit and excited to welcome newcomers. Year-round, rain or shine, snow or mud, Durango runners are ready to explore the high places and bare the inevitably low points of injury and training slumps. After all, folks usually gravitate to the Animas Valley not to impress but rather to get dirty, so go boldly wherever your feet choose to trod, knowing in full confidence you’ll find a friend or 20. If you’re not sure where to start, checkout the Durango Running Company. At this hub of the Durango running community, owner Brett Sublett offers the best in seasonal running gear and shoes, trail and road route advice, maps, guest speakers, special film showings, and the occasional helluva party. The DRC is conveniently located next to Homeslice Pizza’s south location, so runs are justifiably capped off with a satisfying slice or two. Every Wednesday between April and October, the Durango Running Club meets for an evening trail run at one of the trailheads around town. While there are always a handful of “chargers” setting a strong pace out front, the majority of runners show up to hangout with friends, meet other runners, or simply find motivation. Routes are typically four to six miles and sometimes end with burritos or beer (a Durango staple). In the winter months, Wednesday night runs shift priority and transform into Pub Runs. With mountains looming in every direction and desert access a stone’s throw away, Durango is an outdoor enthusiast’s utopia. It’s a town where, for many, your gear is worth more than your house, and it’s totally justified to own more than one bicycle. Days revolve around when you can squeeze in trail time, and seasons swing between Ska Brewing’s most applicable release: Euphoria in winter, Mexican Logger in summer. Durango’s been voted the Worst Dressed Town in the West, but it’s easily the Best Costumed Society in the World (unofficial title). Citizens use any excuse to don a tutu, glitter, or wigs and extend this ritual to all aspects of life. An affinity for the sunshine and all things dirt and fun spans generations, as Durango’s offspring are encouraged from an early age to learn how to mountain bike through local bike development organization, DEVO, and how to ski or ride through winter programs like Snowburners. Many parents are either former or current professional athletes, and most locals would rather haul their children around in a bike trailer than a car. In short, typical Durangoans are tan, happy and rich in experiences. Not all run, but all – even the farmers and ranchers – share a love of the great outdoors. Durangoans are passionate about water resources, eating locally, shopping locally, and ‘getting involved.’ When they’re not out hiking, running, climbing, biking, skiing, rafting, kayaking, or fishing, they’re either plotting their next adventure or drinking beer at one of six local breweries. To keep these town folk healthy, an amazing supply of wellness establishments exist throughout Durango. For both professional athletes and novices, Acupuncture treatments, hot springs, Pilates classes, chiropractics, physical therapists, and delicious healthy food options are just a bike ride away. Whether you’re looking for a hot yoga session at The Sweaty Buddha or a restorative massage with local running favorite, Leah Fein, healing resources are boundless. And to keep the locals rolling into all hours of the night in all types of weather, there is Tailwind Nutrition, the local’s sports drink-of-choice. This locally founded and Durango-based business was built by endurance athletes for endurance athletes looking to keep moving on something that doesn’t upset tummies or require much maintenance. Fuel up before your run with 81301 Coffee roasted on-site at their 3101 Main Avenue location on the north side of Durango a couple of blocks from the Animas Mountain trailhead parking lot. If they’re around, owners Sage and Taylor Anderson are more than happy to offer trail suggestions or updates. And, by all means, do not deny the rumblings in your tummy when you spy a healthily-glazed cinnamon roll taunting from the pastry display. If you’re looking for a more substantial morsel for a big day in the mountains, stop by Raider Ridge Cafe at 509 East 8th Avenue a few blocks north of the Horse Gulch trailhead parking lot. Fresh smoothies and hearty breakfast burritos are their go-to winners, so treat yourself to this local’s favorite cafe. Owners Jarrod and Tracy Regan are both avid trail runners, bikers, skiers and backcountry enthusiasts, so feel free to pick their brains for the latest and greatest adventures in the area. Other coffee joints around town are no less stellar, so don’t be shy about checking out one of three Durango Joe’s locations, the Durango Coffee Company downtown, or cash-only bakery, Bread, which specializes in pastries, killer Sow Your Oats cookies, to-go sandwiches, and local coffee roastery, Desert Sun. Animas Brewing Company: Located near Rotary Park and the railroad bridge in the heart of town, ABC offers the perfect deck for sipping a cold Kolsch in the sun after a day on the trails. Complemented with a soft pretzel or kettle chips? Yes please! BREW Pub & Kitchen: With the best seat in the house for viewing the Durango & Silverton Narrow Gauge Railroad’s comings and goings, BREW is conveniently located on College Avenue. Owner Erik Maxson will tell you it’s built on ancient burial grounds, which adds an extra spice to the food and zip to the beer brewed on site. A rotating menu of seasonal ales keeps things exciting for locals. Carver Brewing Company: The second oldest brewpub in Colorado, Carver’s is just as much of a place to get good beer as it is for finding some of Durango’s finest foods. From breakfast to brunch to business lunches and happy hours, there’s never a time to not choose this downtown classic. Durango Brewing Company: Because we can’t leave out the north side! With both an interior and exterior makeover in the last year, menu revamp, and livelier atmosphere than ever, DBC’s fresh face is your first or last brewery stop in town, depending on where you’re arriving from. Bottoms up! Ska Brewing Company: Ah, Ska. This one, tiny word brings big smiles to many an adventuring local. With delectable fare offered at their World Headquarters in Bodo Park on the south side of town and beers brewed to perfection in easy-to-recycle, river-friendly cans, it’s no wonder this award-winning staple sets the industry standard for craft beer aficionados both in Durango and around the globe. Steamworks: If you’re rolling deep with the homies and need a place with plenty of space, an extensive menu of mouth-watering goodies, and a lively assortment of beer, Steamworks is your jam. Their Colorado Kolsch is a must, and who could ignore a restaurant that lets you snack peanuts while you wait? With more restaurants per capita than San Francisco, it’s not hard to find something for every palate in this land of plenty. Burger-lovers, rejoice! Nightly specials reign throughout the week, so stop by The Palace on Monday’s, or Eolus any other night of the week for their burger happy hour deal. For fresh, fast Mexican, Nini’s Taqueria in downtown Durango and Zia Taqueria’s north and south locations never disappoint. For a more sit-down style Mexican feast and margaritas, the buck stops at Tacos Nayarit across the fairgrounds. Though it’s hard to screw up pizza, Fired Up Pizzeria has nailed the perfect crust, while both Homeslice Pizza locations are bona fide local hotspots. And if you’ve got the change, make a reservation at one of Durango’s finest dining locales, like Season’s Bar & Grill, which offers exactly what it says: seasonal, farm-to-table goodness. Whether you’re looking for guide books or gear, Durango isn’t lacking on quality shops full of experienced, helpful staff. As big supporters of shopping locally, you won’t find an REI or Barnes & Noble anywhere in the four corners region, so, when in doubt, trust the natives. Backcountry Experience: 970.247.5830. For the best in brand-named outerwear, seasonal outdoor footwear and climbing goods, head to Backcountry Experience at 1205 Camino del Rio. Durango Outdoor Exchange: 970.259.0171. Ski poles, tents, bikes, oh my! Your lightly-used gear shop awaits with all of your seasonal outdoor needs. Stop by 546 East College Drive for all of your mountain, river and desert needs. Durango Running Company: 970.764.4366. The hub of Durango’s running community is owned and operated by local coach and running enthusiast, Brett Sublett. Checkout 473 East College Drive for all things running and racing. Walkers welcome, too. Gardenswartz: 970.247.2660. Steeped in history and overflowing with outdoor goods for all endeavors, Gardenswartz’s two downtown locations are ready to supply you with everything from climbing shoes to fishing poles. Maria’s Bookshop: 970.247.1438. This locally-owned independent bookstore has been serving Durango for over 30 years. Step into their downtown 960 Main Ave location and be prepared to find the most knowledgeable, well-read staff this side of the Great Divide. Pine Needle Mountaineering: 970.247.8728. Where service is the name of the game. Sure, they’ve got skis, maps, Patagonia, and headlamps, but if you’re looking for answers to your timely recreational questions, Pine Needle Mountaineering should be on speed dial. 835 Main Ave.
Trails 2000: Without the support of Trails 2000, Durango’s burgeoning trail running and outdoor recreation scene in general would be far less praiseworthy. Under the direction of Mary Monroe, this nonprofit trails maintenance organization relies on volunteers, donations and the enthusiasm of a town gone wild over playing in the dirt. For updates on trail closures, conditions and other notes of import, visit trails2000.org. Though no official research has been done, Durango might be one of the most unassuming competitive destinations in the West. With more national, world and Olympic champions than any other town in the US, it’s clear this town is doing something right when it comes to holding sporting events that bring out the best in athletes. The local trail race season kicks off as soon as the high country begins to melts out, but some summers see snow in the alpine year-round. Most ultramarathons (distances greater than 26-miles) hold lotteries beginning in December before race year, so if you’re hoping to race in the San Juans, do some research and don’t miss a chance to at least try winning an entry. One such lotto-based race is the San Juan Solstice 50-miler held in June. This popular tic list race takes place in Lake City 2.5-hours from Durango and features classic San Juan treasures, like cascading creeks, wildflower-bedecked meadows, snow-studded ridgelines, and the ever-threatening afternoon thunderstorm. The only race more spectacular than maybe any other on the planet is the Hardrock 100 Mile. Racers often wait for years to get picked for this 100-mile ‘run’ that moves hopefuls between the mining towns of old: from Silverton to Ouray to Telluride and back to Silverton, or vice-versa, depending on the year. This race attracts the greatest ‘sky-runners’ in the world, including three-time overall champion, Kilian Jornet, and two-time women’s champion, Anna Frost. 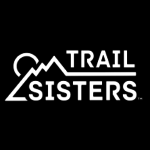 If you’re into trail running and in the San Juan Mountains during this July shindig, at least make your way to the town of Silverton for an atmosphere of camaraderie like no other. Also in Silverton a week after Hardrock is the Kendall Mountain Run, which is not based on a lottery and welcomes seasoned and newbie mountain runners to partake in this 12-mile race to the top of Kendall Mountain and back. Elite racers compete for a $2,500-prize, but everyone is invited to indulge in beer and barbecue after the nearly 4,000-foot, lung-busting climb and quad-crushing descent of the same. If you love this style of a big, steep climb followed by a big, steep descent, Telluride’s Imogene Pass Run should go on your must-do life calendar. Instead of an out-and-back, like the Kendall Mountain Run, Imogene is an up-and-over run from one side of the mighty San Juans to the other, ending in the ever idyllic mountain town of Telluride. For middle-distance runners looking for moderately-technical races, mark your calendar for August’s Kennebec Challenge, which sends runners up and down gorgeous La Plata Canyon to the stunning vistas of Kennebec Pass. The Mountain Marmot in September at Purgatory Resort is another blooming race, while the Animas Mug Run and Durango Double are two local’s favorites closing out the running season in October. EDITORS NOTE: This Trail Town article was written by Joy Martin with contributions from the Durango Running Company’s Brett Sublett and other local trail runners. 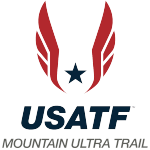 Nancy founded the American Trail Running Association (ATRA) in 1996 and is also chairperson for the USA Track & Field's Mountain, Ultra & Trail Running Council. She is also treasurer of the World Mountain Running Association.